Saudi Arabia’s Shura or Advisory Council, in a sign that the kingdom is polarized over Deputy Crown Prince Mohammed Bin Salman’s plans to diversify and streamline the economy and liberalize its austere moral and social codes, has rejected a proposal to establish sports colleges for women. The rejection of the proposal by a 76:73 vote came a day after Saudi Arabia, which severely curtails not only women’s but also basic human rights, was elected as a member of the United Nations Women’s Rights Committee. “Electing Saudi Arabia to protect women’s rights is like making an arsonist into the town fire chief. It’s absurd," said Hillel Neuer, director of watchdog UN Watch. The rejection by the council that has only advisory and no legislative powers was but the latest indication that Prince Mohammed is encountering difficulty in ensuring popular endorsement of his reform plans enshrined in a document entitled Vision 2030. In a bid to counter widespread criticism of the kingdom’s austerity program that effectively constituted a unilateral cancellation of its social contract, King Salman restored bonuses and allowances for state employees earlier this week. Confronted with sharply reduced oil prices, Saudis who had bargained for a cradle-to-welfare state in exchange for surrendering political rights and accepting an austere, puritan interpretation of Islam governed by the kingdom’s ultra-conservative religious establishment, saw their salaries reduced and subsidies for utilities and gasoline cut in the last year as part of the austerity program. Vision 2030 was designed to diversify the Saudi economy away from its dependency on oil exports, streamline the bureaucracy in a country in which two thirds of the indigenous workforce is employed by the state, encourage women to become a greater part of the workforce, and cater to the aspirations of youth who account for half of the population by liberalizing social and moral codes and offering them greater leisure time opportunities. The plan is designed to take Saudi autocracy into the 21st century rather than loosen the ruling Al Saud’s absolute grip on power. Ultra-conservative backlash has pockmarked every bend of Prince Mohammed’s path. Saudi Arabia’s Middle East Broadcasting Center Group (MBC Group), owned by Waleed bin Ibrahim Al Ibrahim, scion of a family with close ties to the Al Sauds, was forced to revoke and apologize for a campaign aimed at empowering women. Some viewers called for a boycott of MBC. Ultra-conservatives, in response to a schedule of festivals, film screenings in a country with no cinemas, and performances by Cirque Du Soleil, Universe Science, the Light Festival, and the Lion King rolled out by the General Authority of Entertainment, railed against "sin" and "evil." Twitter user Tamim (@m_1385) charged that "indecency, mixing with Muslims' women, dancing and music cannot be called entertainment, it's an invitation for debauchery and sinning." Saudi Arabia's grand mufti, Sheikh Abdul Aziz al-Sheikh, told Al-Majd TV in January that concerts and cinemas were harmful and cause immorality. Sheikh Abdul Aziz and other ultra-conservative scholars were however cautious not to confront the ruling family head on. 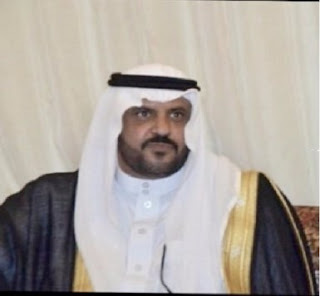 Instead, Sheikh Abdullah al-Mutlaq, a member of the Council of Senior Scholars, called for a referendum, asserting that a majority of Saudis opposed concerts. Other scholars have targeted performers as well as the entertainment authority as an institution in lieu of the ruling family. Prince Mohammed highlighted the role of sports, culture and entertainment with a recent announcement of plans to build what he touted as the world’s first cultural and sports city on the southwestern edge of Riyadh, the kingdom’s capital. The 334-kilometre complex would include a safari park. The prince asserted that the city was part of his plans to diversify the economy and create jobs. The city is scheduled to open in 2022, the year that Qatar is slated to host the World Cup. Saudi Arabia has long resisted pressure by international sports associations and human rights groups to grant women full rights. Saudi public schools offer girls no physical education in a country that has one of the world’s highest rates of obesity and diabetes. There are no public sporting facilities for women and women’s sports clubs often operate in a legal netherland. Saudi Arabia, alongside Iran, is the only country that bars women from attending men’s sporting events. In a country that enforces strict gender segregation and bans women from driving, women are subject to the whims of their mail guardians when it comes to issues like marriage, education and freedom of movement. The limitations of Prince Mohammed’s reforms were evident in restrictions imposed on women’s gyms the kingdom hopes to establish in the near future. Princess Reema bint Bandar, vice president for women’s affairs at the General Authority of Sports, said the gyms would not be allowed to engage in competitive sports such as soccer, volleyball, basketball and tennis. Instead, they were mandated to focus on techniques that contribute to weight loss and fitness, such as swimming, running and bodybuilding. While Saudi Arabia may be unique in the Gulf in the degree of its denial of women’s rights, it is largely in good company when it comes to repression of basic human rights. Saudi suppression of all criticism has however recently put Qatar that seeks to project itself as a cutting edge 21st century state on the forefront of the struggle for all kinds of rights in a bind. Human Rights Watch warned in a statement that Qatar’s return of Mr. Al-Otaibi could amount to refoulment, which violates the prohibition in customary international law on returning a person to a real risk of persecution. Qatar might find it difficult to reject a Saudi extradition request under security arrangements of the Gulf Cooperation Council (GCC) that groups the six conservative, oil-rich Gulf states and is dominated by Saudi Arabia, the region’s behemoth. Yet, already under fire for its controversial labour regime in advance of the 2022 World Cup, extradition of Mr. Al-Otaibi would further undermine its efforts to project itself as a progressive rights defender on the international stage.